01:02:17 – Topics include gentrification, virtual worlds (limitations of physical world, Nightstation) geo-locked console fun, Need for Speed Most Wanted: Terminal Velocity expansion, consoles versus computers, Plex, Crunchyroll, Sydney Kingsford Smith Airport, walking to find ATMs, Singapore's atm5, paying to get access to your money, lost with maps, insufficient PIN lengths, migraines, family folklore, depressing malls, visiting Mascot parks during the day, us as ant lifeforms, being closed minded, 209 (university days, apartment doors, the number 8 in Chinese, The Overnightscape 1209, email address), etymology behind the Rubenerd name, and fictitious billboards. Music by Who Ha, again! 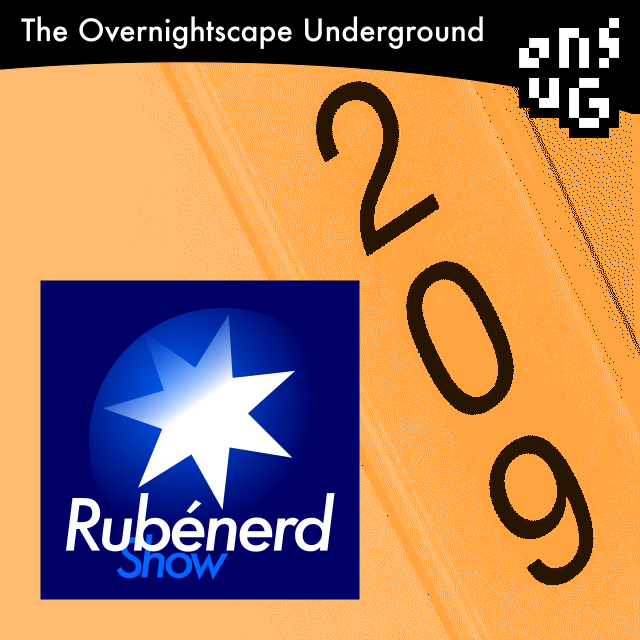 Released August 2015 on The Overnightscape Underground, an Internet talk radio channel focusing on a freeform monologue style, with diverse and fascinating hosts.